Heavy-duty welded steel refrigerant tank tower safely and securely transports three 50-lb. refrigerant tanks. Rack features a storage tray for tools and gauges on top. Trays measures 12-1/4"W x 2-1/2"H x 11-1/2"D. Each tier tilts down slightly for greater stability. Heavy-duty welded steel refrigerant tank tower safely and securely transports three 50-lb. refrigerant tanks. Rack features a storage tray for tools and gauges on top. Trays measures 12-1/4"W x 2-1/2"H x 11-1/2"D. Each tier tilts down slightly for greater stability. Supplied rubber straps secure tanks. 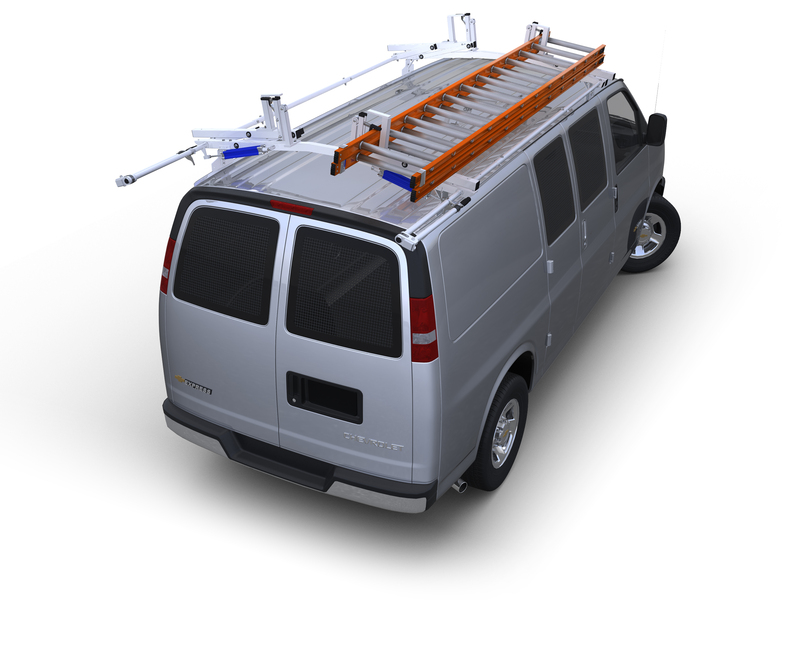 Units can be bolted to van ribs or floor, a shelving unit, or the bulkhead security partition. Towers are constructed of 1" square, 14-gauge steel tubing with powder coat finish.